I decided I wanted to try a fruit pizza. 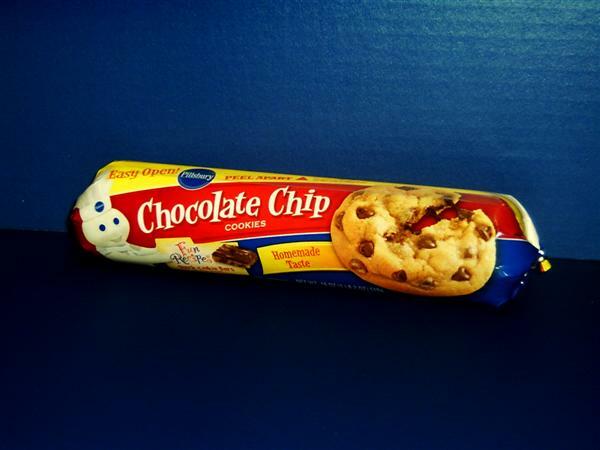 It was supposed to have a sugar cookie crust but here in Lillooet they do not sell any kind of sugar cookie mixes so I decided to go with chocolate chip. Fruit and chocolate go together so I thought it was probably doable. 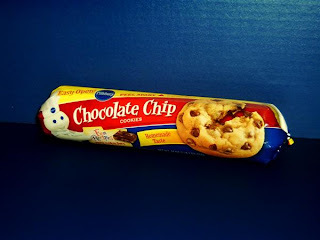 I know that they have to be eaten quickly so they do not get soggy so I thought I would do them in pie pans so that I could get 2 for each package of cookie dough. Then I could have twice the fun decorating too!! They baked up really nicely in the pie plate! They fit pefectly on a dinner plate for decorating too. Obviously meant to be! I decided to try an icing that I had read about a long time ago and had always wanted to try. Something light and cream cheesy... mmmmmmm. A super simple yet delicious icing. One jar of marshmallow creme and one package of cream cheese. Let cream cheese soften on the counter for 10 minutes. 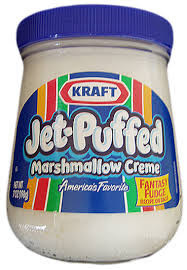 Mix with the entire jar of marshmallow fluff. Spread icing over the entire pizza, all the way to the edges of the cookie crust. Decorate with your favorite fruit. I decided to make a fruit sun with strawberries, pineapple and oranges. I made a simple syrup glaze with 1/4 cup of sugar and 1/2 cup water. Bring water and sugar to a boil on the stove over medium heat. Let cool to room temperature and brush over fruit with a pastry brush. Serve ASAP. P.S. I still have 3 more pizzas to decorate! Yay! !